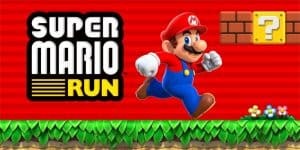 Two or Three Nintendo Mobile Games Coming Each Year | Nerd Much? Nintendo mobile games may be coming out more often than we thought. President Tatsumi Kimishima suggests we will be getting two or three each year. During a recent Q&A session with investors, Kimishima stated, “We plan to continue releasing two or three titles per year that consumers can enjoy as Nintendo’s smart-device applications. This should come as now surprise to many after the incredibly successful first year in the market. Nintendo’s Miitomo, Super Mario Run, and the recent Fire Emblem Heroes have all performed at or above expectations. An even bigger hit was Pokemon Go (partly owned by Nintendo), which literally created gatherings of people in local spots. Nintendo has stated that their partnership with mobile developer DeNA is “going very well. This is in spite of only releasing three of the five games that were promised before March 2017. The Animal Crossing game was delayed into the next financial year, but we still don’t even know what game five will be. It’s interesting to see that this was not just a one-time deal between Nintendo and DeNA. Nintendo definitely seems series about the mobile market. Expect a lot more Nintendo mobile games of your favorite IPs.